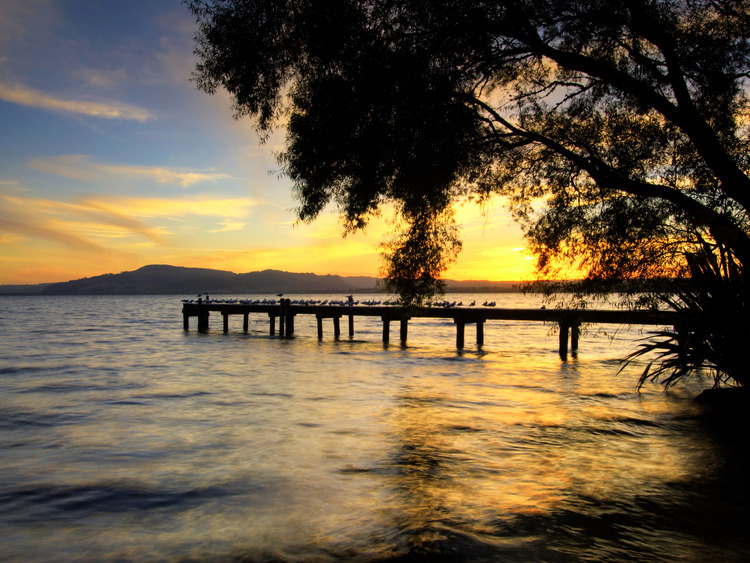 With its geothermal reserves, lakes, idyllic landscapes and the enduring Maori culture that still flourishes here, Rotorua is an authentic location offering all different kinds of attractions. When we arrive at the port, we will board our coach and travel south towards Rotorua, the biggest and most active thermal centre in New Zealand, not to mention the heart of the Maori culture. The first stop on our tour is the popular Agrodome, a picturesque sheep and cattle farm where we can learn a lot about the importance of the sheep farming industry in New Zealand. We will also attend an animal show featuring sheepdogs in action, a sheep shearing demonstration and at least 19 different species of sheep. Naturally, we will also have the chance to buy colourful products made from New Zealand wool. After this fascinating and fun experience with the animals, we well get back on the coach and travel to Lake Rotorua, where we will board a Lakeland Queen boat for an elegant but informal cruise with lunch included. The Lakeland Queen is the only one of its kind in New Zealand and was built specifically for Lake Rotorua and its shallow waters, making this short cruise the perfect way to enjoy 360-degree views of the extraordinary lake. Our boat will sail past the historic village of Ohinemutu, Kawaha Point, Mokoia Island, Sulphur Point and Mount Tarawera. After lunch, we will get off the Lakeland Queen and pass the Government Gardens and the Blue Baths before heading to Te Puia, the biggest Maori cultural centre in New Zealand and a thermal reserve. When we arrive at the Maori Arts and Crafts Institute at Te Puia, we will be welcomed at the Marae, the sacred meeting point, where we will watch a Maori cultural show, traditional song and dance performances, plus combat techniques including the famous Haka (the war dance). We will also have the chance to visit the schools that teach the art of wood carving and linen weaving there. Next, we will visit the Nocturnal Kiwi House, a reserve dedicated to the kiwi, the national symbol of New Zealand. Then we will prepare to be dazzled by the unique beauty of this geothermal reserve with its silica terraces, mud pools and bubbling waters, the famous Pohutu Geyser and over 500 springs with temperatures ranging from cold to boiling hot. After we have immersed ourselves in the Maori culture and the lush, wild nature, we will return to Tauranga following an alternative itinerary that allows us to admire some of New Zealand’s different landscapes and scenery before returning to the ship.